The HFG project is working with regional partners across the West Africa region to strengthen country commitment and capacity to achieve universal health coverage (UHC). Specifically, HFG facilitates learning and promotes increased understanding of potential health financing strategies, programs and approaches applicable to the greater West Africa region to advance UHC. In addition, HFG provides targeted technical assistance to West African countries at key points in developing or implementing their strategies to achieve UHC. The HFG report on the provision of family planning (FP) services free of cost for clients, or “free FP,” presents findings of an exploratory analysis on the motivations, experiences and results of countries in West Africa that have enacted policies declaring free FP or are considering doing so in the near future. 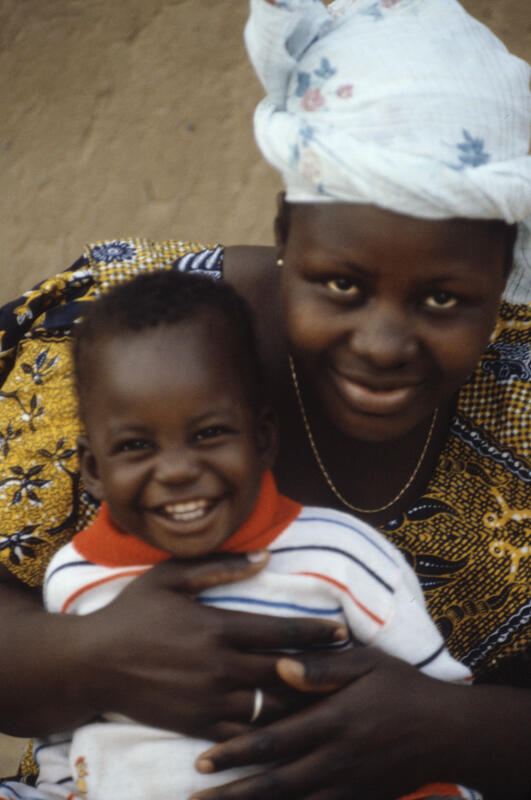 In West Africa, countries are increasingly cognizant of the benefits of family planning for positive maternal, newborn and child health outcomes as well as economic prosperity. Simultaneously, there is heightened awareness of an evolving landscape of country and donor resources and recognition of the many considerations clients have regarding access to and use of FP. HFG examined six countries in West Africa, looking specifically at their policies related to free FP services. The report includes an in-depth profile of each of three West African countries that have implemented national “free FP” – Ghana, Mauritania, and Niger – and illustrate their various considerations, policy vehicles, and experiences. The report also broadens the regional perspective on free FP by presenting information from three additional West African countries that are on the threshold of providing free FP services: Burkina Faso, Cote d’Ivoire, and Mali. With comparative analysis across the six countries, HFG synthesizes its study findings and key takeaways. This report is available in English and French and can support policy-makers, donors such as USAID, country stakeholders in the six featured countries as well as other countries in West Africa, and other development partners supporting FP in the region as they make decisions about future policy and also seek to use their limited resources more efficiently. HFG has woven capacity building opportunities throughout both activities. For the benefit package work, HFG provided instruction to the Ministry of Health and providers representing each region on steps that inform benefit package design. HFG also designed and facilitated a one-week training on the One Health tool, empowering the Ministry of Health to conduct future costing exercises, including updating the benefit package costing results as updated data becomes available and the government’s health services coverage objectives evolve. Regarding the strategic communications plan for UHC, HFG worked directly with a technical working group of Ministry of Health and Ministry of Communications representatives to understand the technical steps of developing such a plan, using the HFG-Joint Learning Network’s planning tool and planning guide for strategic communications for UHC. Finally, HFG has supported the technical working group to implement the technical steps, resulting in a validated draft that they can proceed with finalizing and implementing beyond HFG’s technical assistance. The nation of Togo is early in its efforts to approach UHC. Through HFG’s iterative, consultative technical assistance to the Government of Togo, multi-sector stakeholders have expanded their understanding of the tenets of UHC, health financing for UHC and engaging the private sector. Stakeholders have also developed an appreciation of the primary barriers to determining how the Government of Togo will pursue UHC, that is, increase population and service coverage while reducing financing barriers to its majority informal economy population. With a particular interest in ensuring inclusion of the informal sector, their families and the poor, HFG conducted a workshop in February 2018 to increase knowledge of the composition of the informal economy in Togo as well as what their health needs and financial capacity to pay for health services are, based on what data is available. HFG technical assistance concluded with facilitating dialogue among key stakeholders around the most significant barrier: designating a leader to lead UHC efforts (the question of “qui porte le dossier” per the February 2018 workshop). Go to Workshop Page. The HFG multi-regional report on financing of universal health coverage (UHC) and family planning (FP) presents findings of a landscape study of observed trends and lessons learned from fifteen countries across multiple regions, with a particular focus on West Africa. In West Africa, households are a primary contributor to total national spending on health. This places many, particularly the poor and vulnerable, at risk of incurring impoverishing health care costs. To alleviate this risk, many government initiatives for UHC seek to promote financial protection. This report builds understanding of the health financing landscape in eight West African countries – Benin, Burkina Faso, Cameroon, Guinea, Mali, Senegal, and Togo – and informs the design of efficient, effective, equitable approaches to increase health coverage across the region. Specifically, we compare findings from West Africa, where efforts to achieve UHC are nascent, with those from seven African and Asian countries where progress toward UHC is more advanced. We examine the extent to which health financing mechanisms such as social health insurance provide health coverage and how countries engage the private health sector. To explore the effects of service-specific strategies for coverage, we review strategies to address unmet need for family planning. Available in English and French and also by specific West African country chapters, this nine-chapter report provides policy-makers, implementers, and development partners with a base to inform policy, program, and strategy foci toward UHC and universal access to FP. Go to Reports, available in English and in French. Family Planning Spending in Burkina Faso (2015): How Can it Inform Policy & Planning?